Do you know where your food really comes from? What does “Produced in Ireland” really mean? And what about pre-packed gas-flushed meat in a supermarket? And what is dry or wet-aged beef? 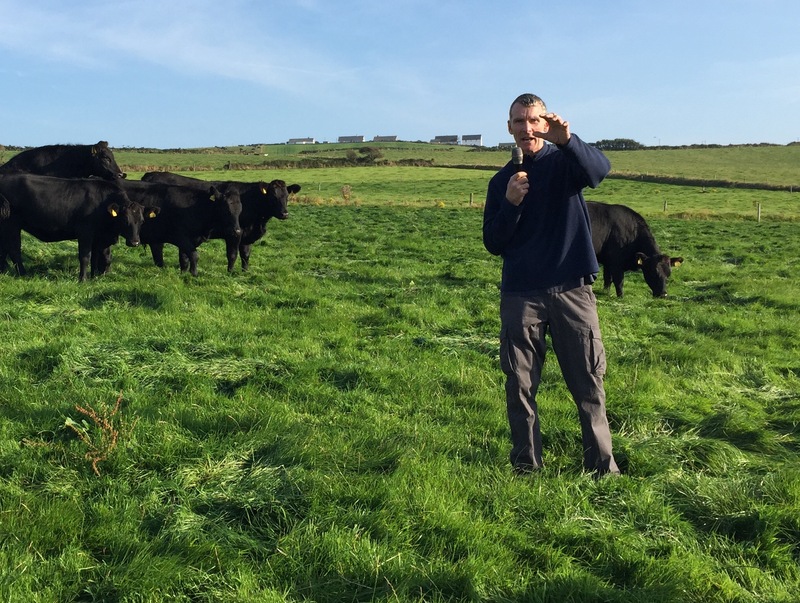 Last week I was lucky enough to get a tour of a working farm in Inchydoney, Clonakilty owned by Leslie Beamish, followed by an informative speech by local butcher Mike O’Neill. 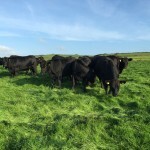 Grazing along the sea are a herd of Aberdeen Angus cattle. 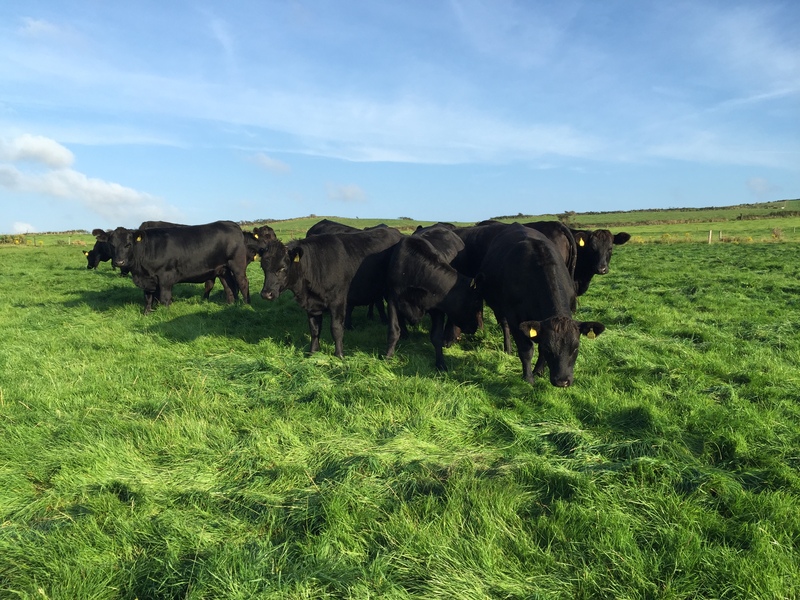 Their main staple is the naturally salted grass, which adds a fantastic flavour to the beef. The cattle will mature for 18 – 24 months, and are slaughtered just 2 miles away in his abattoir on the edge of Clonaklity town. Talk to your local butcher to find out where your beef comes from. What does Produced in Ireland or Origin Ireland really mean? There is a lot of science around this, but in short, it is altering the amount of oxygen, nitrogen and carbon dioxide that is in pre-packaged goods, with the aim of prolonging the shelf-life. The oxygen content is reduced and carbon monoxide can even be added to maintain the red colour of the beef. I read separately that gas-flushing chicken can increase the shelf life from 6 to 18 days! 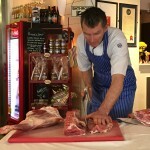 Mike also mentioned that shoppers generally want the more expensive cuts, but the real flavour lies in the cheaper cuts. 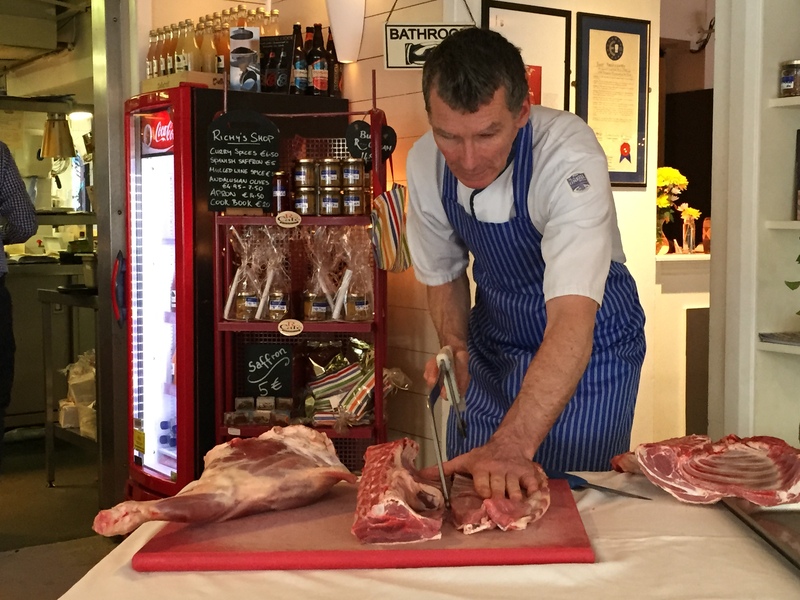 We seem unwilling to buy cuts of beef like brisket, oxtail or daube/cheek for a couple of euro, but would happily part with our hard earned euros for the same dish in a Michelin starred restaurant. Yes, they need a bit more time to cook, but it is so worth it. So no matter what your budget is, drop into your local butcher. You’ll find they are a world of knowledge and would be only too happy to suggest something different.